Figure 5. Push Rod Adjustment. 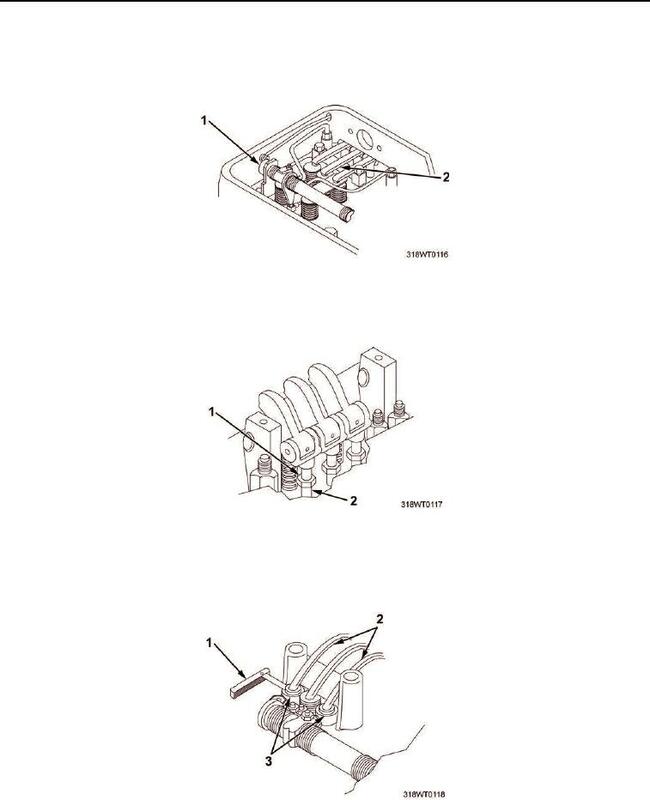 injector follower (Figure 2, Item 2) is in fully depressed position. Loosen locknut (Figure 3, Item 1) on exhaust valve rocker arm push rod (Figure 3, Item 2). Figure 3. Exhaust Valve Rocker Arm Push Rod Locknut. valve rocker arm pallet (Figure 4, Item 2). Figure 4. Valve Bridge Gap.